You are running as user root, we hope you know what you are doing. Things may work/fail for the wrong reasons. For correct results you should run this as user git. 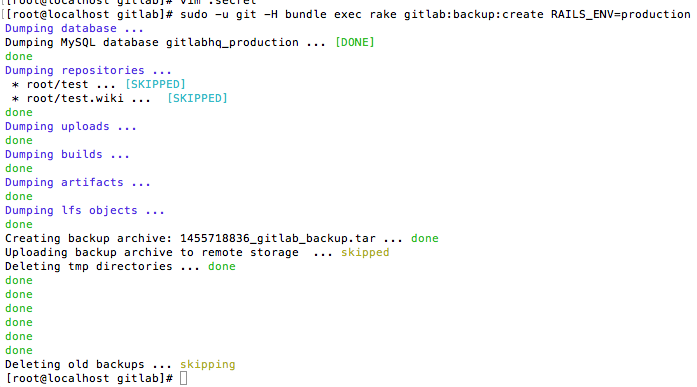 Your current GitLab version (8.4.4) differs from the GitLab version in the backup! This a chinese technology document repo,welcome your read and learning.